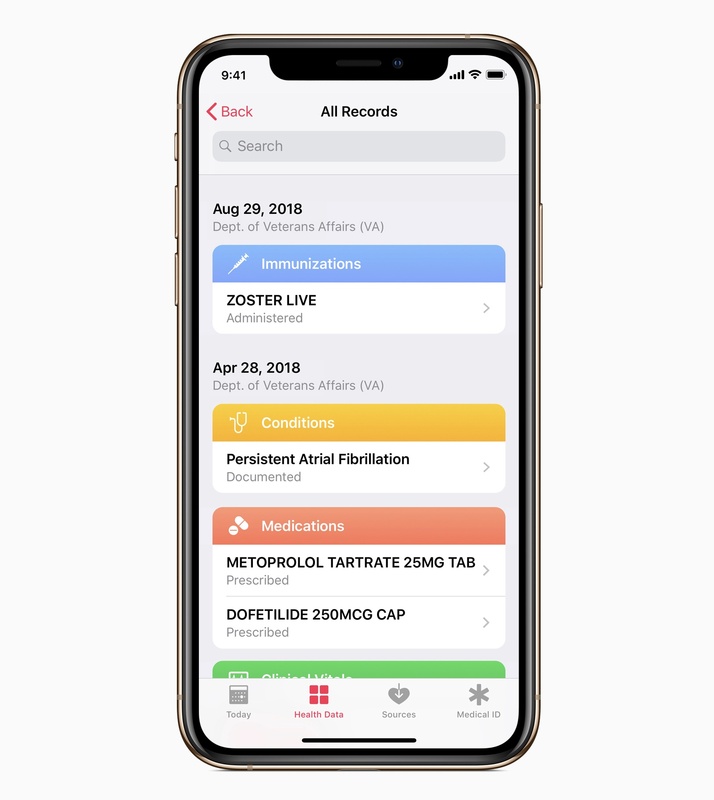 Apple announced today that its Health Records feature will soon be available to all US veterans thanks to a partnership with the US Department of Veterans Affairs (VA). The announcement includes key categories from Apple executives that highlight the growing importance of Apple's health as a company. "When patients have better access to health information, they have more productive conversations with their doctors," said Jeff Williams, Apple's COO. "By bringing Health Records on the iPhone to VA patients, we hope veterans will experience improved healthcare that will improve their lives." "Our goal is to empower people to better understand and improve their health so that they can see their medical information from multiple vendors in one place easily and safely," said Kevin Lynch, Apple's vice president of technology. "We are happy to bring this feature to veterans across the United States." Health Records on the iPhone is the first record sharing platform available to the VA, the largest medical system in the United States, offering services to more than 9 million veterans over 1,243 facilities. It's a smart partnership for Apple, and one that can make a meaningful difference in American veterans.